I was selected as the recipient of Early Career Researcher Travel Grant by Communications Chemistry 2018. I will be using this opportunity to attend the Society of Biomaterials annual meeting in Seattle, Washington (3-6 April, 2019). 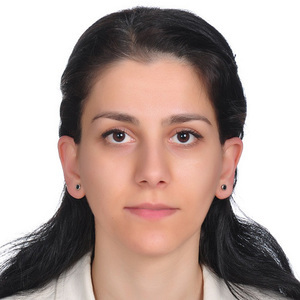 I am a junior faculty member in the Department of Medical Engineering at Acibadem Mehmet Ali Aydinlar University, responsible for the biomaterials engineering subdivision. I graduated from Boğaziçi University with a bachelor’s degree in Chemistry (2006) and Molecular Biology and Genetics (2007). I continued in the same university to pursue MSc (2010) and PhD (2014) degrees in Chemistry, working on the development of dendritic and polymeric drug delivery systems as promising cancer therapies. I received the BAP Boğaziçi University Best Doctoral Dissertation Award for my graduate studies. Then, as a post-doctoral fellow at the Center for Nanomedicine at Johns Hopkins, I focused on designing dendritic nanomedicines for CNS-related disorders and their translation to clinics. My research area includes the design of smart nanomedicine vehicles and 3D scaffolds composed of well-engineered synthetic and natural biomaterials for both drug delivery and tissue regeneration. They are either in drug/peptide loaded nanomedicines or cell encapsulated 3D-printable networks. The meeting I will be attending via this generous grant is the annual meeting of Society of Biomaterials which is going to be held in Seattle, USA. It is one of the most outstanding conferences in the field of biomaterials which covers all related research areas like drug delivery, 3D-printing, regenerative medicine and their translation into clinics. This grant will offer me a great opportunity to increase my recognition in biomaterials field and widen my network. 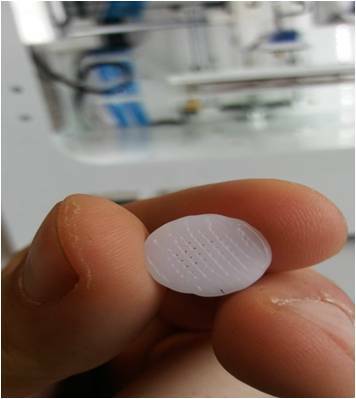 This is a 3D-printed biodegradable scaffold made out of a thermosensitive polymeric material. At the end of this great conference, I will be given the opportunity to write about my experiences and gains as a post-conference post, so I can tell the community how its contributed to improving my research.